We offer syndicated reports in various industries as well as competitive benchmarks and industry trends and innovation reports that can be customized for your needs. Our competitive index reports are syndicated offerings that are published bi-annually for each industry. The reports combine heuristic analysis with consumer survey data to create a snapshot of the current mobile site and where each company can improve. Full verification of each companies’ capabilities and features, consumer survey, and feature prioritization card sort (n=500). Statistically reliable, detailed, and insightful research published annually from hundreds of users providing specific behaviors, thoughts and opinions about their experience online. Quantitative Metrics (success, satisfaction, ease of use, likelihood to purchase, etc. ), Behavioral Data (where users go on the site to complete task) and Qualitative Data (real user feedback/ comments about likes/ dislikes, what’s helpful/ confusing). Highlight some of the most interesting growing trends and latest innovations, as well as findings from our consumer surveys regarding customers desire for these types of capabilities. Includes several relevant examples of different companies’ application of a particular feature, service, or technology. We also specialize in custom reports based on your specific industry needs. 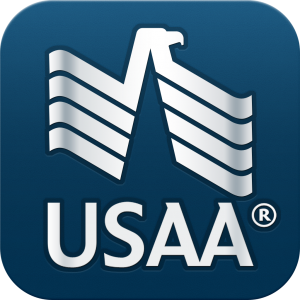 USAA is continually raising the bar for this industry, and in mobile account access and management solutions in general. In each of the last reports we’ve seen them take the lead, consistently mirroring consumer’s self- reported desires with their provided features and capabilities. Click here for full article! Profiles the competitive mobile landscape of 8 of the top US retail credit card companies. Cruise – Published Annually in early September. Current mobile apps and mobile capabilities available on each mobile apps and mobile sites. How users can complete tasks on the mobile device (e.g., pay a bill, look at account history, etc). Key success factors, best-in-class features, areas for improvement, and why some companies are lagging behind. Incorporates consumer preferences of features and capabilities that they consider critical for a successful experience. A complete listing of overall rankings. A complete list of best-in-class features. A detailed scoring breakdown of all capabilities and features reviewed. Screenshots from behind the login screens of all competitors sites & apps. Latest industry trends and innovation. -Rob Casas, Vice President of eCommerce at Norwegian Cruise Line. -Patty Gaumond, vice-president of Enterprise Internet Solutions at State Farm.